Car Air conditioning in Arizona is a necessity. If your car air conditioner goes out call Discount Brake Tune and Lube, a certified Napa AutoCare Center and we will work to get your air conditioner repaired as soon as possible. Sometimes the AC just needs a simple fix, but regardless of the repair, our certified mechanics can you help you be cool through the Arizona summer. A malfunctioning air conditioner can not only cause discomfort, but can also present a health risk to those who are highly sensitive to the higher temperatures such as children and the elderly. Keeping your air conditioner in top-notch condition will alleviate these dangers, as well as keep you comfortable as you travel throughout Phoenix, Tempe, Scottsdale, or Casa Grande. At Discount Brake Tune and Lube Napa Auto Care Center, we pride ourselves on offering you top quality A/C services from our ASE Certified staff members. Discount Brake Tune and Tube has certified technicians who are well trained in Arizona car AC repair services. 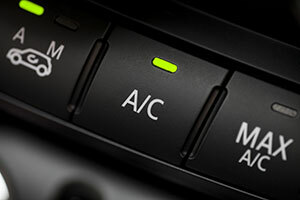 We know you can’t live without your car air conditioner so we will do the AC fix correctly. If your air conditioner is on the fritz, or you would like to have it serviced now, contact our team at Discount Brake Tune and Lube Napa Auto Care Center by calling (602) 667-3400. We also have a second location, Discount Brake Tune and Lube, located in Casa Grande which you can teach by calling (520) 426-1500.